You can make your reservation at Holiday Inn Southgate online or by phone. Come stay with us and enjoy our 160 elegantly designed, spacious guest rooms. Our beautiful rooms were designed with the needs of the traveler in mind. When making your reservations, choose to stay in our spacious Standard King room or our accommodating Double Queen rooms, or make a special occasion of it and upgrade to a King Two-Room Suite or a Jacuzzi King room. At the Holiday Inn Southgate, there is something to suit everyone’s needs to provide the comforts of home away from home. Distinctive features and wonderful amenities include, complimentary high speed wireless internet, 2-line phones with voice mail, generous work areas, coffee-makers, hair dryers, iron/ironing boards, televisions with free cable, in room microwaves and refrigerators, room service and much more. 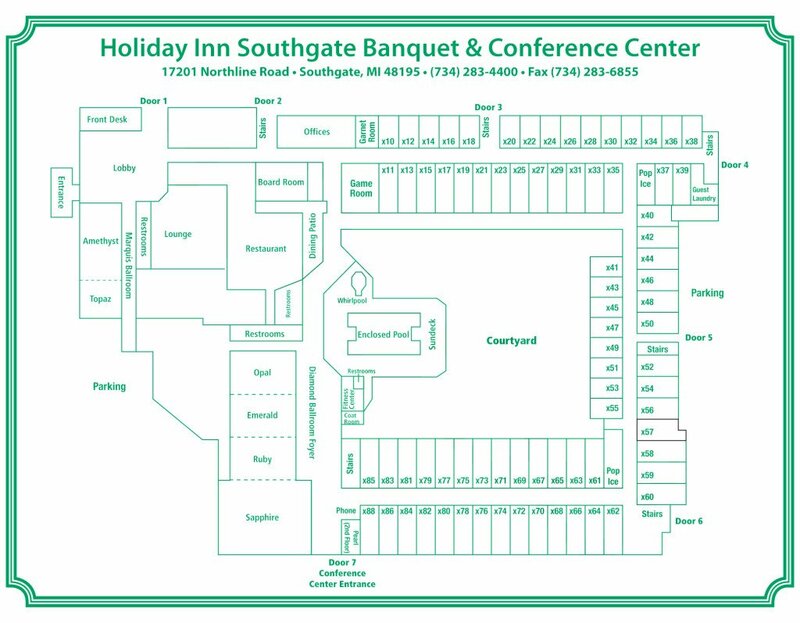 The Holiday Inn Southgate Banquet & Conference Center is conveniently located off I-75 at Exit 37, connecting to most major freeways. Whether you are visiting Detroit for business or leisure, we are located just 9 miles from Detroit Metro Airport. We provide complimentary airport and local area shuttle transportation. Advance reservations are recommended. Ask about joining the IHG Rewards Club to receive additional complimentary benefits.